Both women and men can instantly recognize a tube of lipstick. It likely hasn't changed much in recent years - same tube, same general appearance, same method of application. But did you know that the history of lipstick is filled with things like crushed beetles? Going back about 5,000 years into the past, ancient Mesopotamian women were possibly the inventors of lipstick. They used crushed semi-precious jewels to decorate their lips and even around their eyes. Women of the Indus Valley Civilization, which existed from about 3,000 BCE to 1,500 BCE, tinted their lips with a red colour. Not to be outdone, ancient Egyptian women used lipstick too. They used a purplish-red dye taken from seaweed, a bit of iodine and bromine mannite. It came as no surprise that this early lipstick invention also made women very ill. And Cleopatra, the most famous ancient Egyptian in history, made her lipstick from the red colour extracted from crushed carmine beetles and ants. Lips are an important part of face decoration in early Chinese and Asian history. Artifacts show that the act of reddening lips was already in place around 5,000 years ago in ancient China. It is believed that lip makeup was originally practiced to please the gods in religious occasions. As time passed by, it was used by the upper classes. Lip beauty products in ancient China were normally called “lip balm” or “mouth balm", and was used by both men and women. A paste-like sticky mixture was used to relieve chapped or dry lips. In prehistoric times, the pigments for lip beauty products were generally obtained from plant juices, animal bloods, or minerals. A red material called vermilion, whose chemical composition is mercuric sulfide was added to mineral wax and animal fat. Some ancient Chinese used rouge—the red facial balm (named “Yan Zhi” in Chinese) to do lip makeup. Lips balms in ancient China often had wonderful fragrances added as well as tasty added flavors. The early lip balm was not like the lipstick we see today, but was a paste held in a small container. After 600 AD, some lip balm was processed into solid substance, tubular in shape. Being handy to carry and use, this new type soon gained popularity. It wasn't until the 16th century, however, that lipstick became widely used. Queen Elizabeth I, always a trendsetter, invented and popularized the look of blackened lips. Elizabethan-era lipstick was a little bit easier to handle than Cleopatra's - it was made with simple beeswax and plant-derived red dyes. However, by the time Queen Victoria took the throne, makeup in general was deemed unladylike and banished to the level of prostitutes. Yet, actresses were still allowed to wear makeup and, slowly, other women began to gravitate towards it again. In 1884, the history's first modern lipstick was introduced by perfumers in Paris - it was wrapped in silk paper and made with deer tallow, castor oil and beeswax. In the 19th century, lipstick was normally colored with a harsh looking carmine red dye. Carmine dye was extracted from cochineal, scale insects native to Mexico and Central America which live on cactus plants. This lipstick did not come in a tube; it was applied with a brush. In the early 1890s, Carmine was mixed with an oil and wax base and looked more natural. The mixture looked much more natural and it became more acceptable for women to use it. Lipsticks were sold at this time in paper tubes, tinted papers, or in small pots. By 1915, lipstick was sold in cylinder metal containers, which had been invented by Maurice Levy. Women had to slide a tiny lever at the side of the tube with the edge of their fingernail to move the lipstick up to the top of the case. In 1923, the first swivel-up tube was patented by James Bruce Mason Jr. in Nashville, Tennessee. The evolution of movie making and the popularity of movies as well as the growing power of fashion and movie photography played a huge role in making lipsticks acceptable and popular. 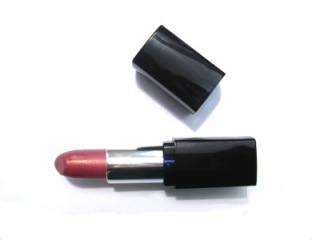 In the late 1940s, Hazel Bishop, an organic chemist, created the first long lasting lipstick, called No-Smear lipstick. In the 1950s and beyond, lipsticks became ever more popular and commonplace. New colors and new formulas grew in popularity with every passing season. These days, the lipstick is everywhere and is arguably the most popular cosmetic in the world. The formulations for lipstick are not quite as disgusting as it was in Cleopatra's day, but there have been some unsettling discoveries about the contents of lipstick recently. Innovations and improvements in lipstick development has not stopped New formulations and designs for lipstick are being invented constantly. In addition to lipsticks that block the suns rays and are packed with anti-oxidants, these days we even have lipsticks that change color when applied on your lips into a custom colored created by your own body chemistry. Or amazing devices for your lips like cute little suction devices that make you get fuller lips. 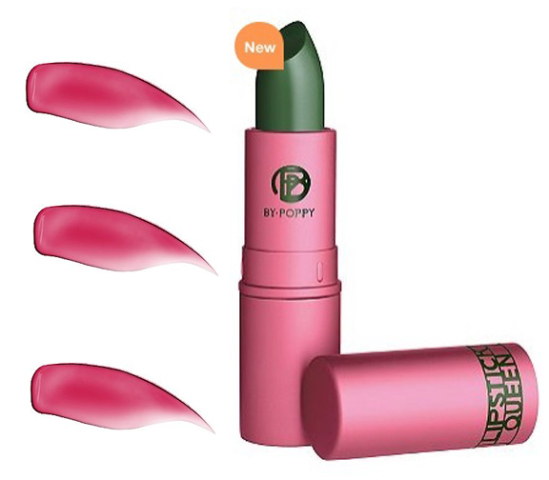 Wonder what will be next in the history of lipstick? Velcro Reinvented: How Do You Improve On Velcro? Originally published in May 2008 and updated June 2015. Want To Serve Your Tea On A Topographical Tray? Smarindesign: Design Your Own Playrooms! I have just read your article about crushed beetles to be used as lipstick. Is this true, according to scientific studies? If yes or no, why? Very interesting. Thank you for your help. The in the early black and white movies, the actresses were not actually wearing black lipstick. They were wearing red lipstick that only looked black because black and white film is super-sensitive to the color red. Since these movies and movie stars were extremely popular, a demand for black lipstick was created, even though, at the time, black lipstick wasn't being manufactured on a large scale.